His famous black Fender Stratocaster known as “The Black Strat” that was used to record the albums “Dark Side of the Moon” 1973, “Wish You Were Here” in 1975, and “The Wall” in 1979. 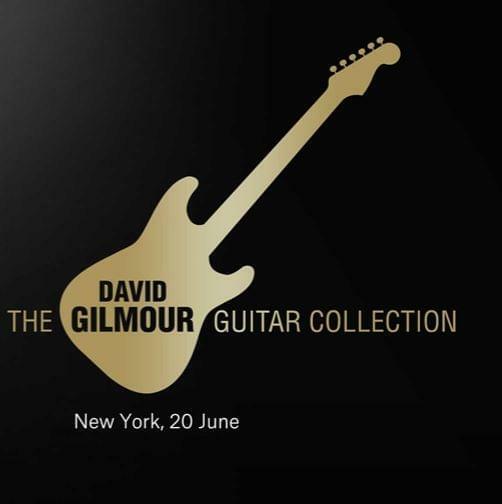 The guitar is estimated to go for $100,000-150,000. A Candy Apple Red 1984 Stratocaster 57V used during on the albums and tours for “A Momentary Lapse of Reason” in 1987 and “The Division Bell” in 1994, is estimated at $15,000-25,000. A tour of the collection will launch in London in March. Find details here.